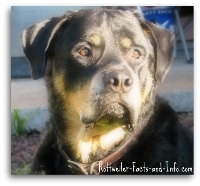 Rottweiler facts & dispel the myths! News media and word of mouth (hear-say) are how most people get their Rottweiler facts, and that’s a shame. Most of that information is just plain fiction, and fueled by fear. I’m so glad you’re here, researching the real Rottie! If you’re wondering if a Rottweiler is the right dog for you, I'm here to help you decide. During the 1980’s, the Rottweiler breed hit the #2 spot on the AKC (American Kennel Club) list of breed popularity. While that might sound cool, because they are awesome dogs, it wasn’t. When a breed gains popularity, people tend to jump on the bandwagon, getting a certain breed just because it’s popular. These kinds of people don’t do any research, and have no idea what it means to own a Rottweiler. Unscrupulous breeders take advantage of trends like these. The above reasons are why the Rottweiler gained a bad reputation, and along with the Pit Bull are now being subjected to BSL (Breed Specific Legislation). If you'd like to look at some interesting statistics about different breed popularity over the last century or so, take a look at this great page about the most popular dog breeds. 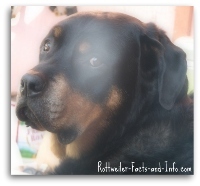 I hope the information you find here will help to dispel some of the myths, and allow you to get to know the real Rottweiler. One myth that's springing up all over the internet, is the existence of a Miniature Rottweiler - There is NO such dog. They are simply using the popularity of the Real Rottie to sell a tiny little dog that resembles a Rott only by color scheme! There’s actually not a lot of documentation on early Rottweiler history, but it's widely believed that their ancestors originate from ancient Roman drover dogs. What we do know for sure is that the Rottweiler we know today was developed in a southern region of Germany, now known as Rottweil. Just like people, every dog is different and has their own personality and quirks. 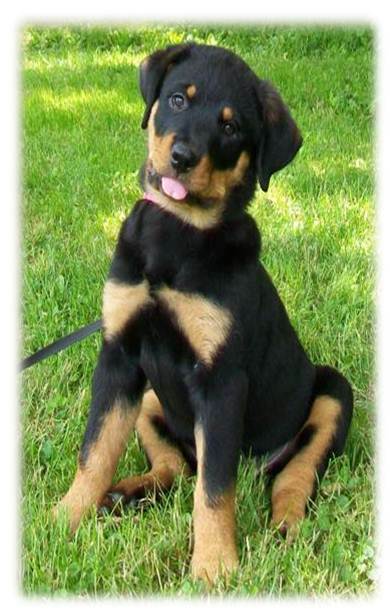 However, most Rotties share the same common Rottweiler traits. Below you’ll find some of the more common traits, along with real-life examples to help illustrate. You can usually find a Rottie quietly observing and analyzing different situations he encounters, then acting accordingly. Kind of like a chameleon, he’ll change his temperament depending on what the situation calls for. Since the Rottweiler's roots come from ancient Mastiff type working dogs, it's no wonder they have a similar temperament to that of Tibetan working dogs like the Ambdo Mastiff. Laws are changing all over the world regarding the docking of dog's tails. 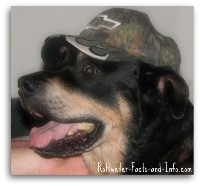 The ADRK changed the Rottweiler breed standard in Germany in the year 2000. The trend has been spreading rapidly across Europe, and beyond. Will the United States follow suit? Only time will tell, but for now U.S. laws still allow docking, and the AKC breed standard still calls for Rottweiler tails to be docked. Unfortunately, attacks by Rottweilers can and do happen. What makes me so angry about that is ignorance of the true underlying causes, and that the news media greatly distorts the facts to gain ratings! Any dog can attack a person, but the Rottweiler's size and strength usually make them devastating. I hope this page will help you understand some of the reasons that might cause a dog to attack.